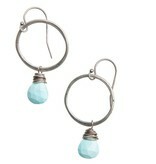 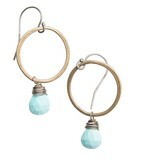 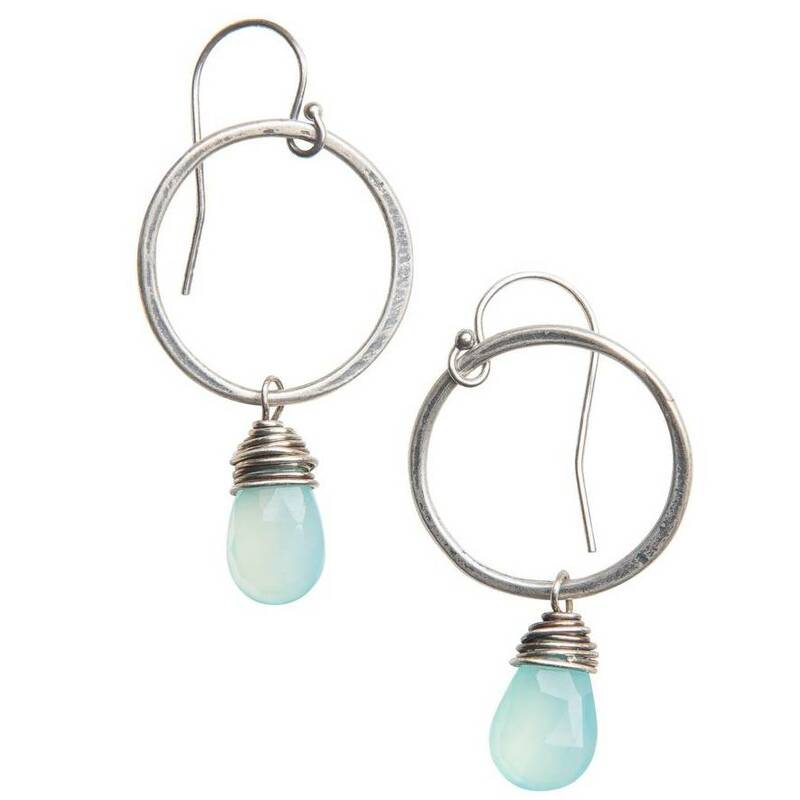 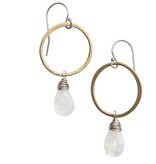 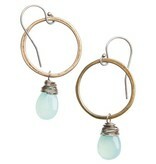 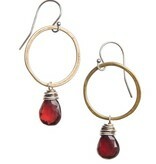 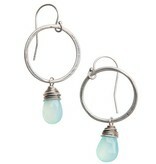 The karma circle earrings are about 1.5" long. 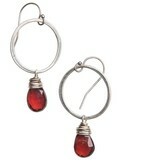 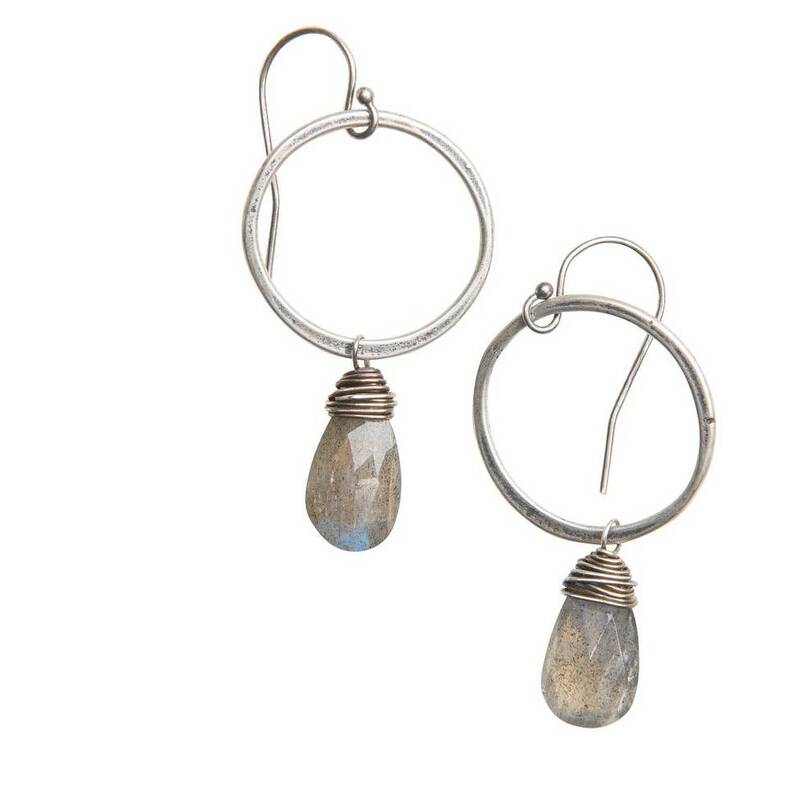 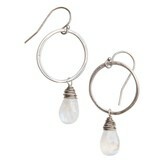 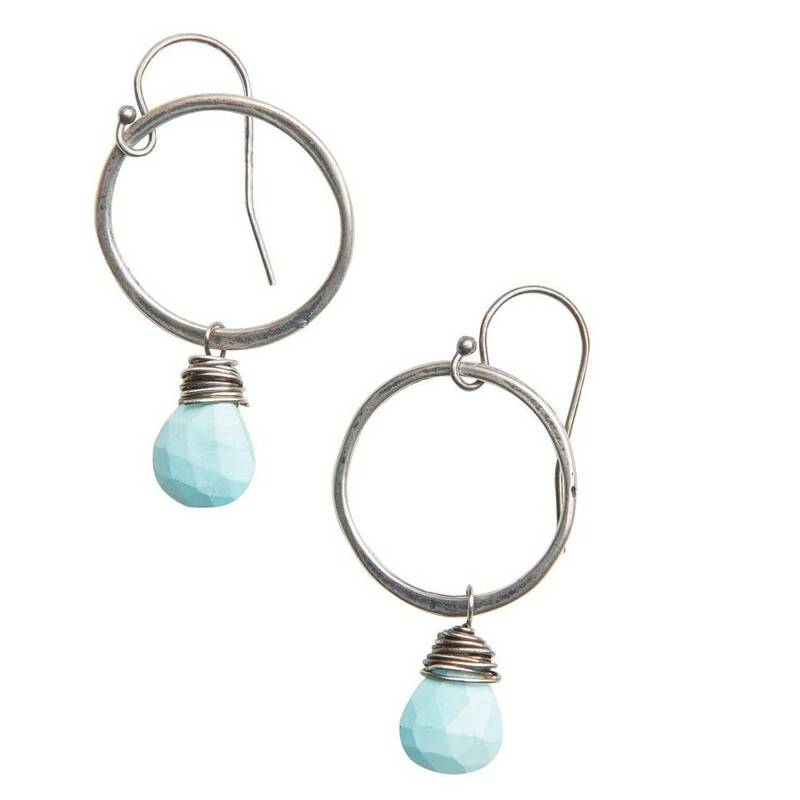 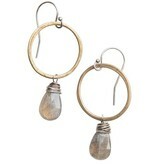 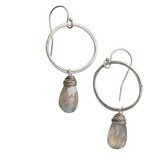 Faceted stones are wire wrapped by hand with oxidized sterling silver wire for contrast and depth. 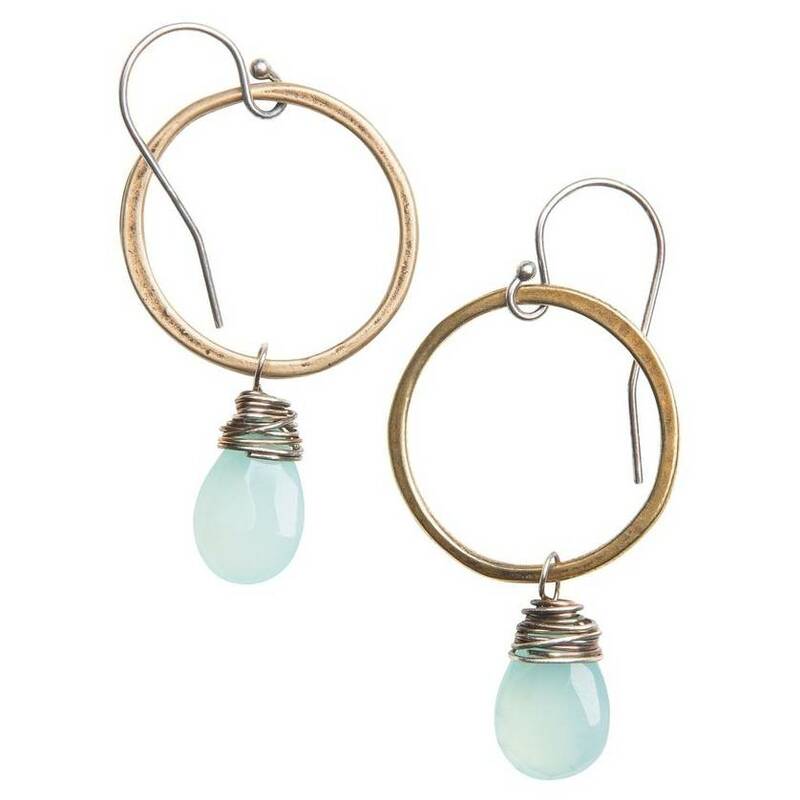 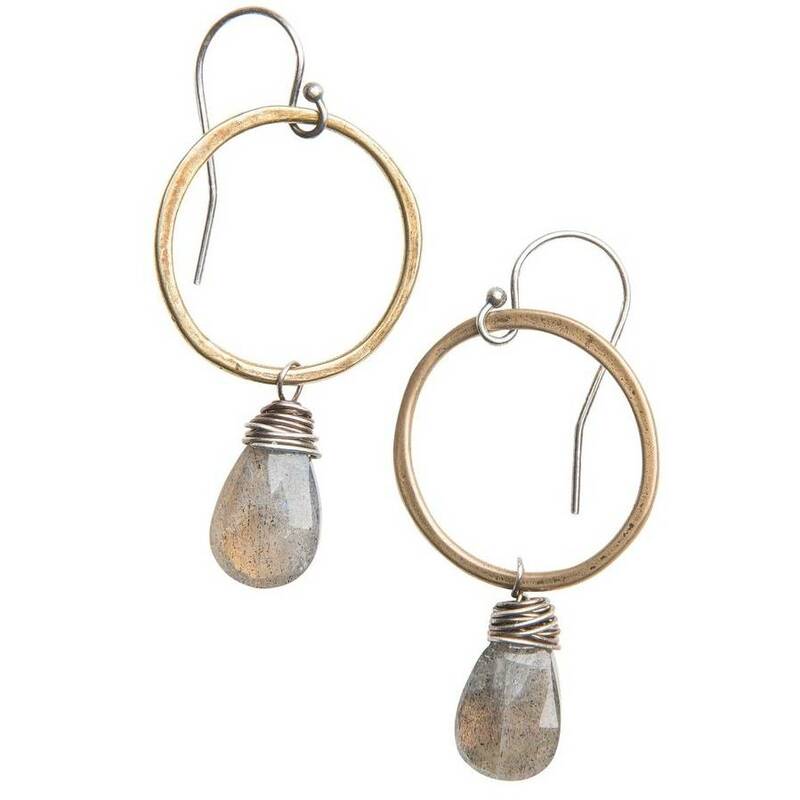 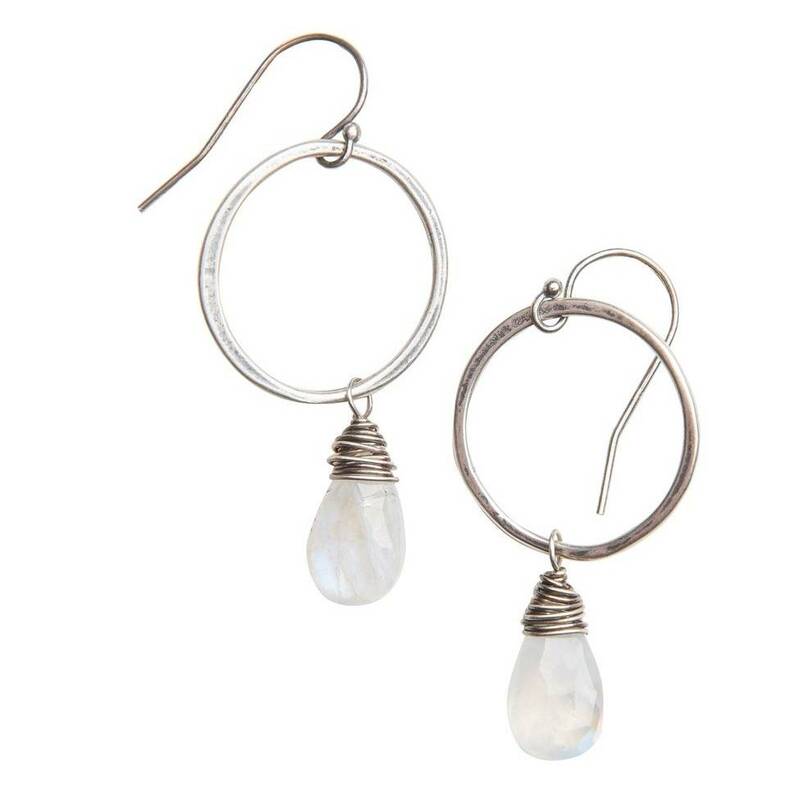 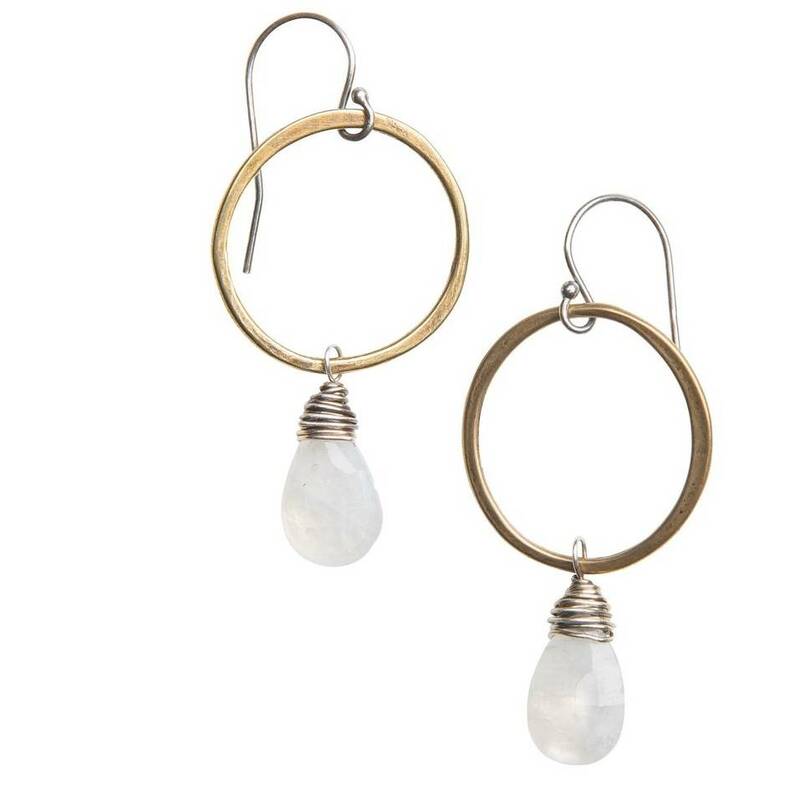 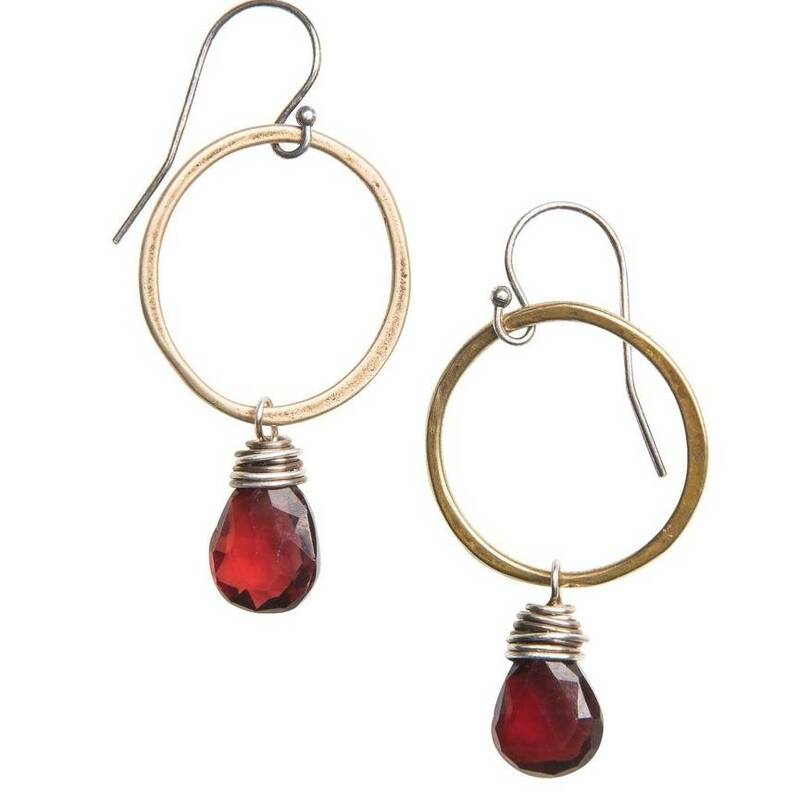 The organic sterling silver or yellow bronze hoops make for a beautiful focal point in this mixed metals collection earring style.